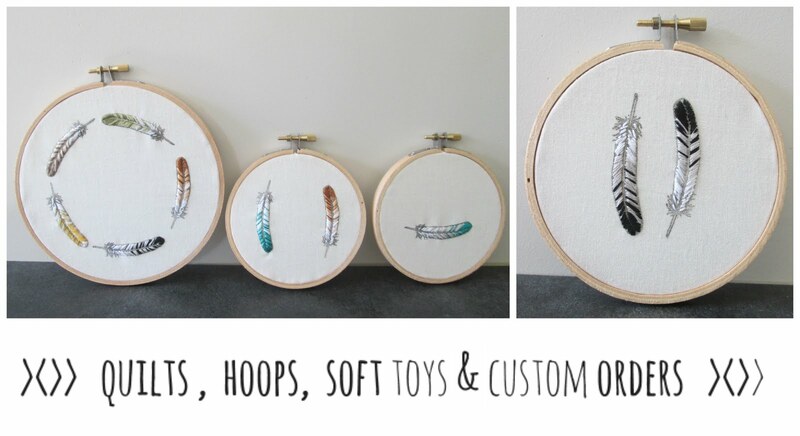 Ever been handed a basket of fabric thinking- sure I can use that (for something?!). Then once you have some time to actually look in the basket - you notice you have been handed more than just a basket of random fabric. 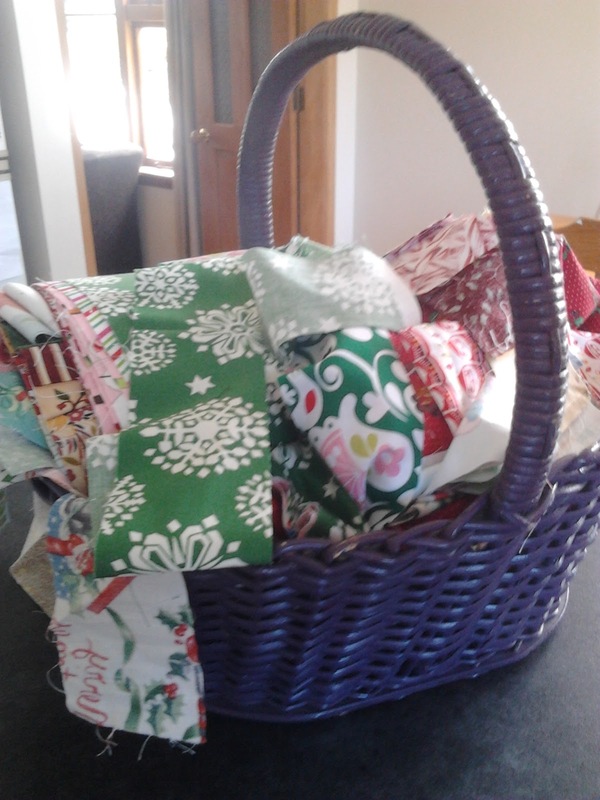 The basket was FULL with strips of fabric for a scrap vomit quilt. I started laying out the strips using what was in the basket. All the strips in the basket were now making total sense! 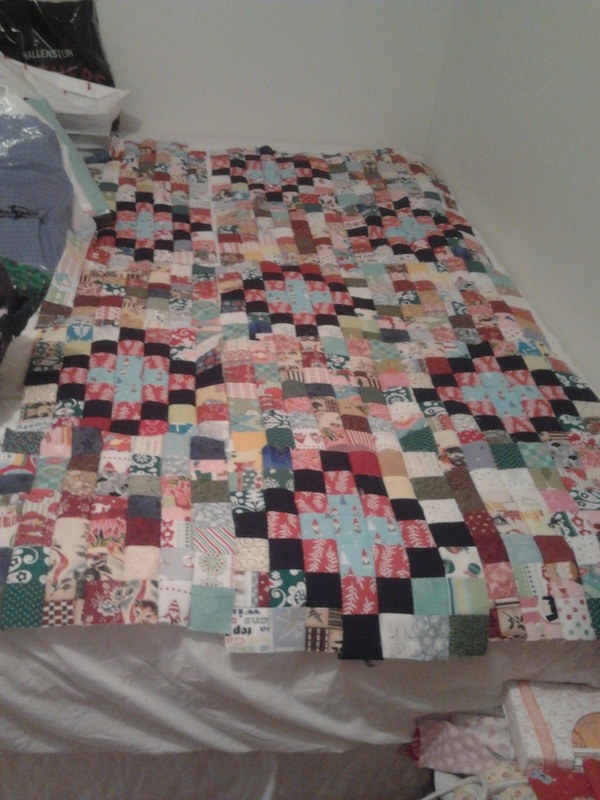 I finally understood how this quilt should be going together. 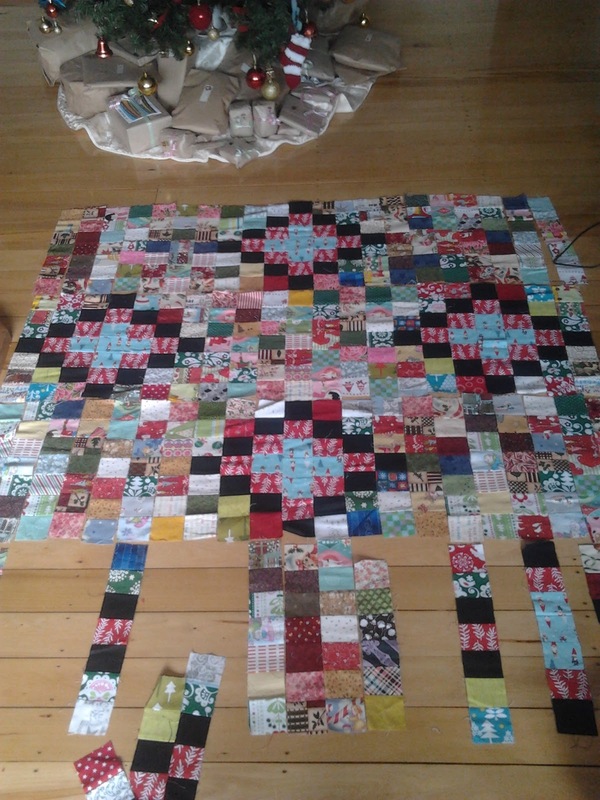 I asked Deb how to make the extra blocks I needed and she pointed me in the direction of a blog post with a tutorial. 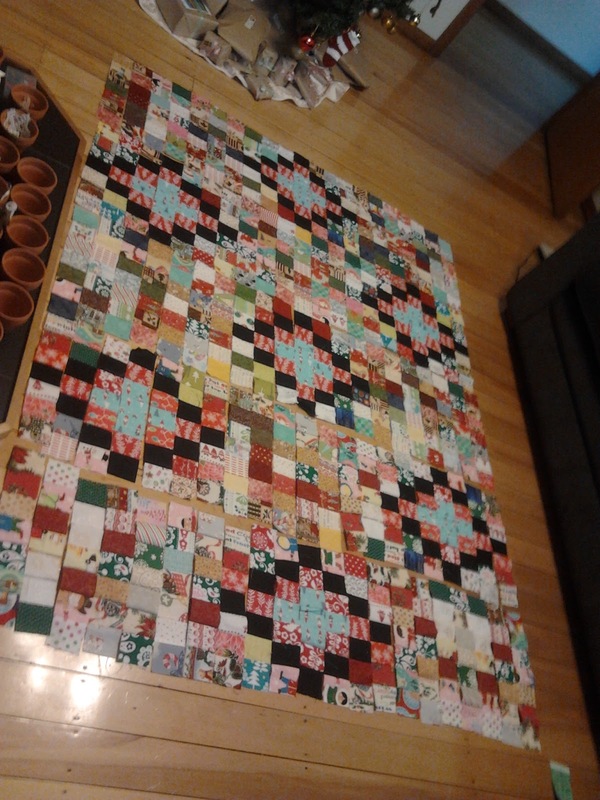 So now with 15 blocks sewn together- It looks like a Christmas quilt top!! I am so very thankful for a random basket of fabric. A basket of chaos turned out to be a blessing of order and love and who doesn't love thousands of tiny little pieces of fabric coming together to be more than just scraps in a basket- each piece of fabric has a place and a purpose! 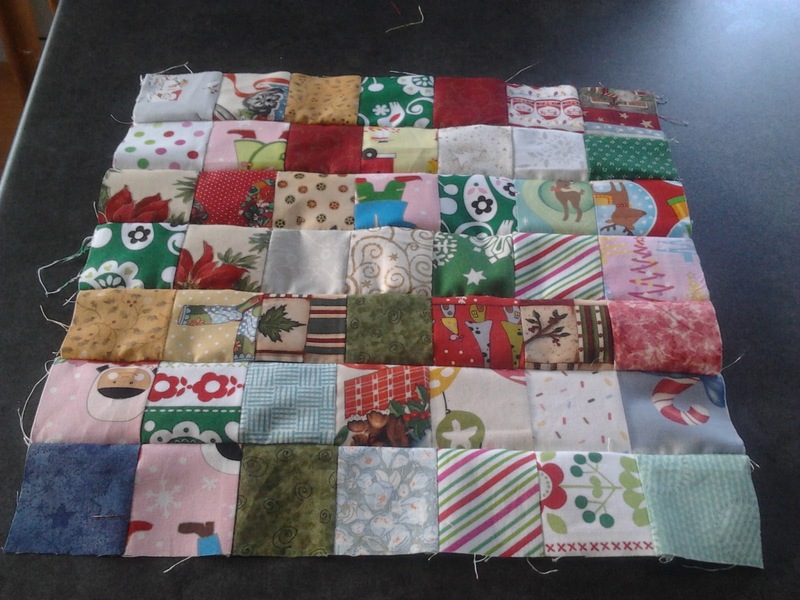 A perfect Christmas quilt for our home (once I finish it). i love that you have already made something from this! I love what you have done with all that fabric!